Furniture makes a space functional and comfortable, but artwork and personal photographs are what transform it into a home brimming with character. There's a reason we hang up our proudest achievements and get our favorite works of art or even just a photo framed; they remind us of the value in being surrounded by beauty and sentimental memories. In fact, a great gallery wall can make something two-dimensional so much more powerful, even communicating certain moods to inform how you feel on a day-to-day basis. Whether you decide to mix mediums, styles, price ranges, family photos, and abstract art; would rather keep things minimal and modern; or even just want to display your kid's artwork in an elevated way, our tips and hacks below will help guide you. Ready for some wall décor inspiration? Scroll through our top five photo-wall ideas, each with a stunning visual for inspiration. We're in love with everything about this dining room, where every single design decision contributes to an engaging narrative. The iconic Hugh Holland images of Southern California skate culture are reflected in the warm neutral shades and nature-inspired materials like the jute rug, wood chairs, and casual frames. Despite this laid-back feel, everything in the room is just so: The chairs are neatly tucked into the polished table, and the photographs are centered for a clean look against the white walls. This dissonance between simple elegance and gritty beach themes in the photos keeps the aesthetic pleasing and engaging without feeling forced. If you love photography, consider choosing pieces that make sense in the context of your home and that will contribute to the story you've already created with the other elements of your interiors. For an alluring yet subtle display similar to the one above, photography is a great medium to decorate with. 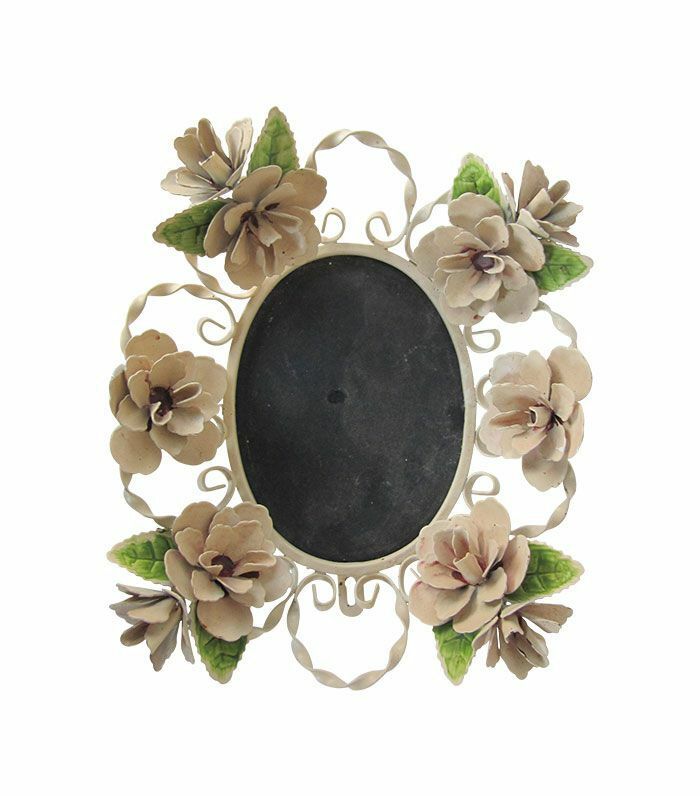 These walnut frames with a black back mat are great because they'll enhance your favorite pieces without stealing the spotlight. Busy doesn't have to be bad, and this gallery wall is proof. Though it's covered in eclectic frames and artwork in a variety of mediums, the crisp white paint, adjacent blank wall, dark hardwood floors, and chic carpet all work to elevate the overall space for a polished feel. The best part about this art display is that it communicates the personalities and styles of the home's residents. It feels totally authentic and livable but also photo-ready. Plus, the carpet's range of neutral hues corresponds with the differing frames on the wall, creating a subtle sense of cohesion. If you like to decorate with vivid hues but don't want to commit to bright statement items, get creative with accent pieces. 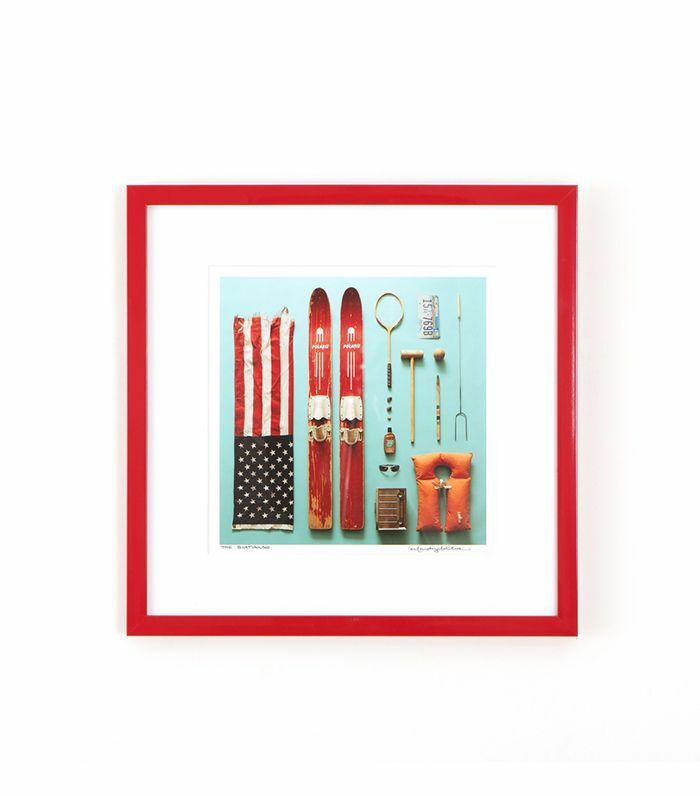 Texture-rich and full of retro charm, this frame is a great piece to stand out on its own with your favorite photo or art or added to an eclectic gallery wall. Of course, the artwork doesn't have to be the focal point of the room. As captured above, decorative pieces—the branch and the metallic objects—immediately draw our attention while the artwork takes a backseat. Without the two framed pieces, though, the shelves might look unfinished. 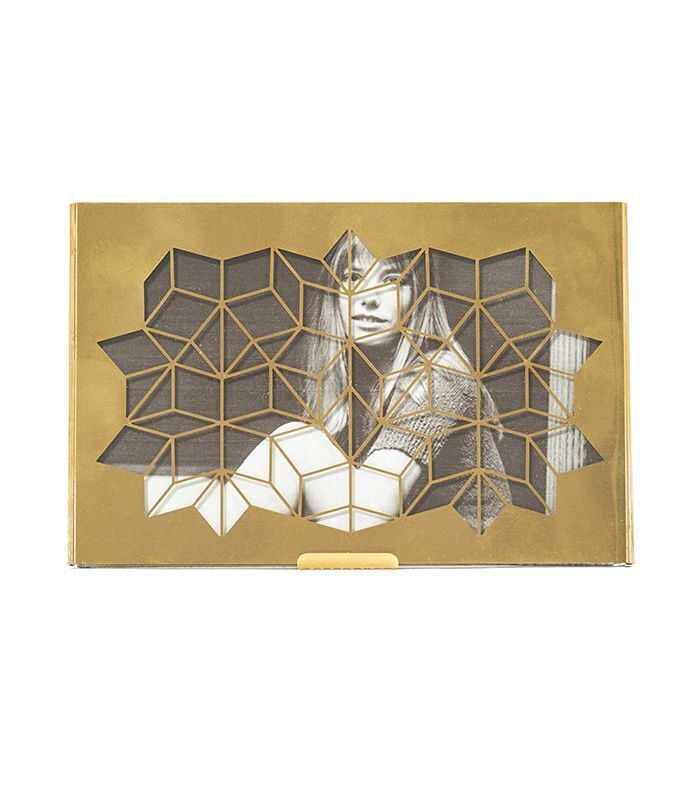 So if a room in your home is feeling lackluster and you can't quite pinpoint why, try introducing some subtle framed pieces that enhance the beauty of the statement items. A good way to make sure the art doesn't overwhelm your desired look? Casually lean your frames against the back of a shelf wall. For a photo-wall idea that looks beautiful and personalized, consider displaying your personal images of family and friends. 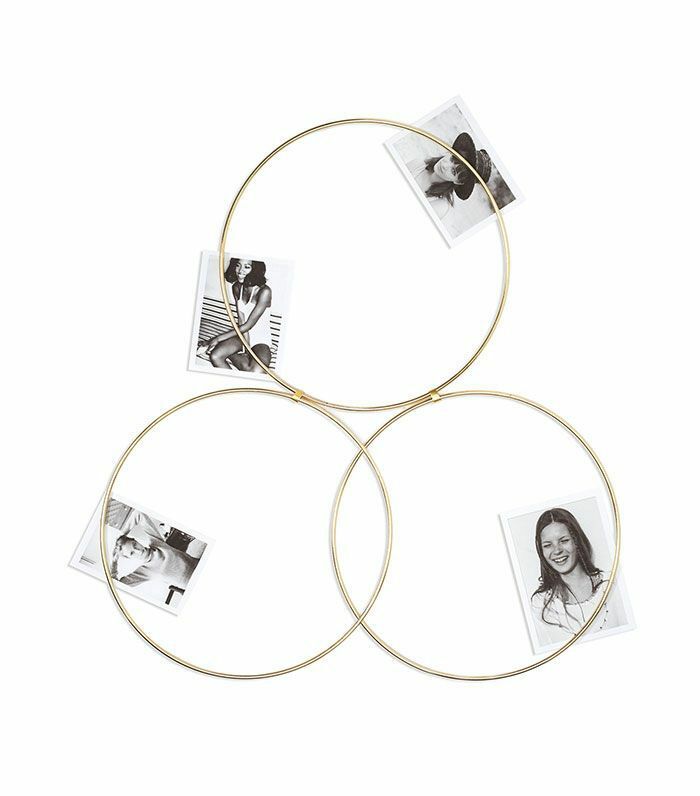 This hip photo ring gives a more formal look without the hassle of the framing process. This cool dining room is so inviting that it almost looks more like a living room. We love how the industrial metal chairs contrast with the traditional chairs on the end, the cozy appeal of the carpet, the sophisticated light fixture, the rustic wood table… In other words, this room nails the eclectic look. The flowers in the center of the table are a natural way to emphasize the beautiful pale pistachio paint, and the frames flanking the window add another element of interest. While symmetry may work in a home with a different style, we really like that the art doesn't mirror itself here. Made a statement by mixing in a frame in a bold color, and then hang two smaller ones with a neutral frame. Okay, so we know we said we'd be talking exclusively about display ideas for your walls, but who says art has to be hung up to look good? 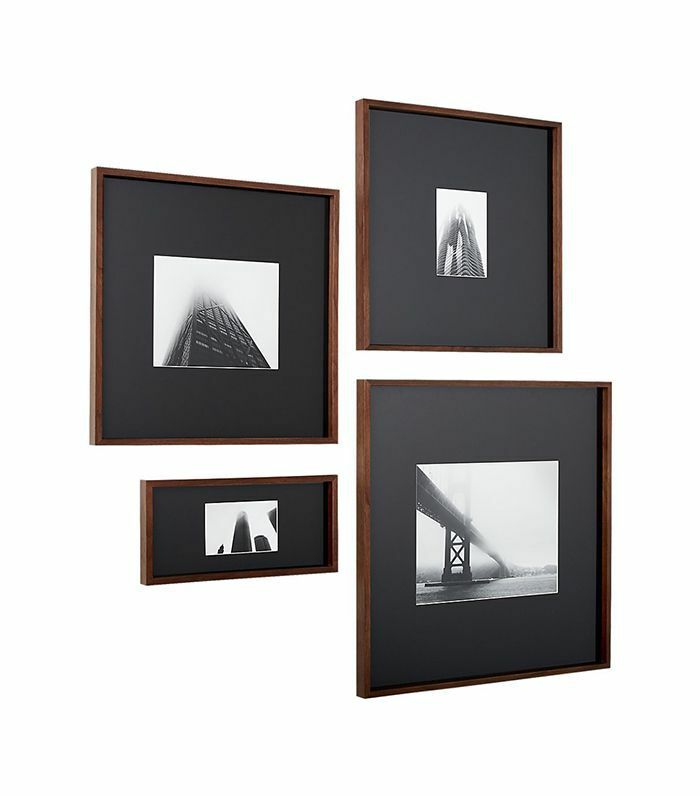 We're really digging the way these frames are slouching against the wall on the floor for a relaxed environment. Simply leaning it against the wall is also a great option for renters. In fact, everything in this bedroom looks grounded in a very literal way. The bed is low to the ground, the coffee table books aren't actually on a coffee table, and the dress draped over the chair is elegantly slinking onto the floor. This lived-in look is punctuated by classic and contemporary pieces to give it the right touch of formality without losing personality. So if you've been wondering how to get the effortlessly elegant look at home without veering sloppy, this is your answer. In the right frame, anything can be art. In fact, this frame could be considered a piece of art on its own. Since it's so sophisticated, it doesn't even need to be hung up to look refined. Which photo-wall idea are you going to try at home? Let us know which is your favorite and how it goes if you decide to get crafty.